Soulful doula and celebrity wellness-lifestyle expert and bestselling author Latham Thomas is transforming how women give birth — and how they rise up to become the confident, radiant, ultimate best version of themselves. One of the most sought after doulas in the world and one of the most celebrated figures in wellness, Latham empowers women to give birth to their dreams as she leads a revolution in radical self-care. Described by Dr. Oz as a “fitness and nutrition powerhouse,” Latham helps women embrace self-care, reclaim their bodies as sacred, and tap into the glow power that resides within. On the vanguard of transforming the maternal wellness movement, Latham is the founder of Mama Glow — MamaGlow.com — an explosively popular lifestyle brand and highly regarded boutique offering inspiration, education, and innovative holistic services for new and expectant mothers. Mama Glow’s globally recognized Doula Immersion program boasts doula trainees from around the country and 6 continents. Known as the Glow Maven, Latham has revolutionized the doula concept and has both elevated the field and educated the masses on women taking better care of their bodies and minds through dynamic wellness concepts. Her new audio program, Beditations: Guided Meditations and Rituals for Rest and Renewal, helps listeners reboot their lives with best practices and daily rituals to improve rest, increase optimism, boost energy, and enhance health and mental clarity. A creative matrix and self-care sorceress, Latham was named one of Oprah Winfrey’s Super Soul 100 — an enlightened group of leaders elevating humanity with their amazing work. Her highly anticipated new book, Own Your Glow: A Soulful Guide to Luminous Living And Crowning The Queen Within, sold out within two weeks and is currently in its third reprint. Her first book, Mama Glow: A Hip Guide to Your Fabulous Abundant Pregnancy has served as an essential go-to wellness guide for expecting mothers — endorsed by Dr. Christiane Northrup, Dr. Mark Hyman, Christy Turlington Burns, and others. Latham has recently moderated panel conversations on the often unnoticed disparity of Birth Equity and the black maternal health crisis. 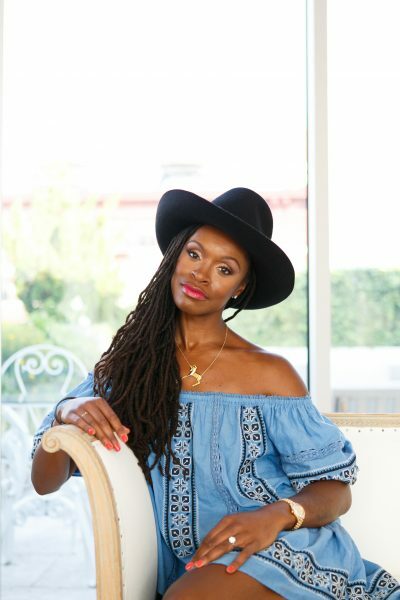 Cultivating her wellness practice over nearly a decade, Latham has served as a lifestyle guru and doula for celebrity clients such as Alicia Keys, Debra Lee, Rebecca Minkoff, Tamera Mowry, DJ Khaled, Venus and Serena Williams. She’s appeared on The Dr. Oz Show, Fox News LIVE, Good Day NY, CBS News, and Inside Edition, and has been featured in The New York Times, Wall Street Journal Magazine, Fast Company, Black Enterprise, Essence, O Magazine, New York Daily News, New York Post, Vogue.com, Whole Living, and on the covers of Experience Life Magazine, Thoughtfully and New York Family. A peerless presence in the world of wellness, Latham holds dual degrees from Columbia University and is a certified holistic health counselor. A grassroots inspirational leader and motivator, she leads mass meditations, speaks to large groups about entrepreneurship, self-care and birth, leads a coaching accelerator program for mom entrepreneurs, and serves on the Tufts University Nutrition Council and on the Wellness Council for Well + Good.